The next day of our Miami Vacation we wanted to be a little more laid back. We tried not to get up too early, and didn’t rush down for breakfast. But eventually we did make it out the door of our hotel, into our car and over to our adventure for the day. 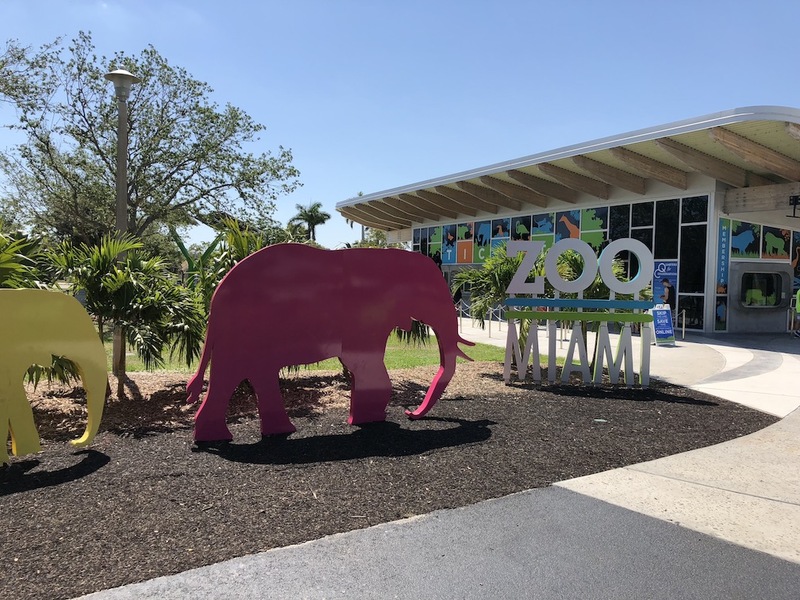 Zoo Miami was a bit of a drive from where our hotel was in South Beach, but since we were visiting during the week traffic wasn’t too bad. I had visited this zoo back in the 80s when I was a kid but didn’t remember much. We had some old home videos I watched but other than the monorail (yes they have a monorail here) not much else seemed to look familiar so I’m sure there had been extensive renovations since then. 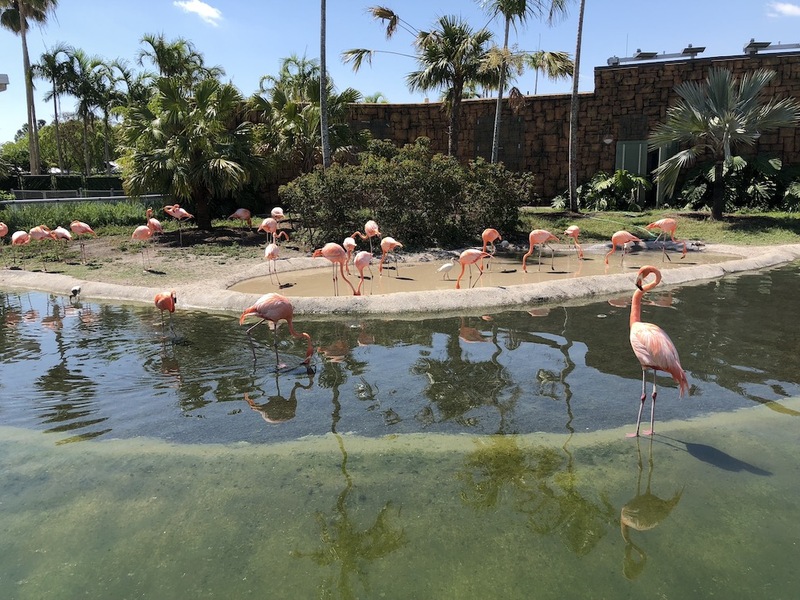 After we got through the main entrance we were greeted by a flock of Flamingos in all their pink glory. Our two daughters love pink and by association love Flamingos. We kept to the main path and eventually came to a bike rental stand but we skipped right by it. They offer pretty big tandem bikes that your entire family can ride thought the zoo. When we first saw them we kind of laughed, but I will admit by the end of our trip we kind of wished we had rented one as it was a LOT of walking. 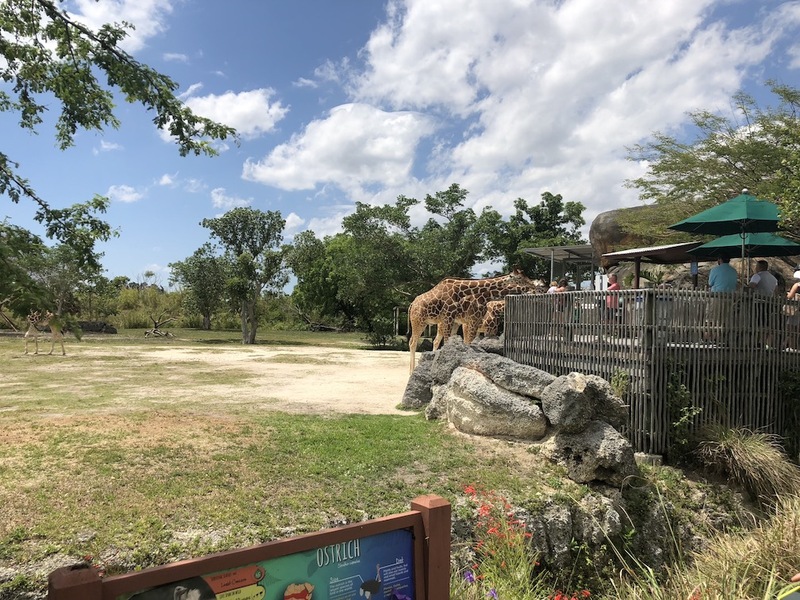 This zoo was really nicely designed, and the exhibits were really beautiful. They had all the standard animals that most zoos have. We will eventually get to some penny machines, but we did come across a whole bunch of these Mold-A-Matic machines. I remember these from when I was a kid. 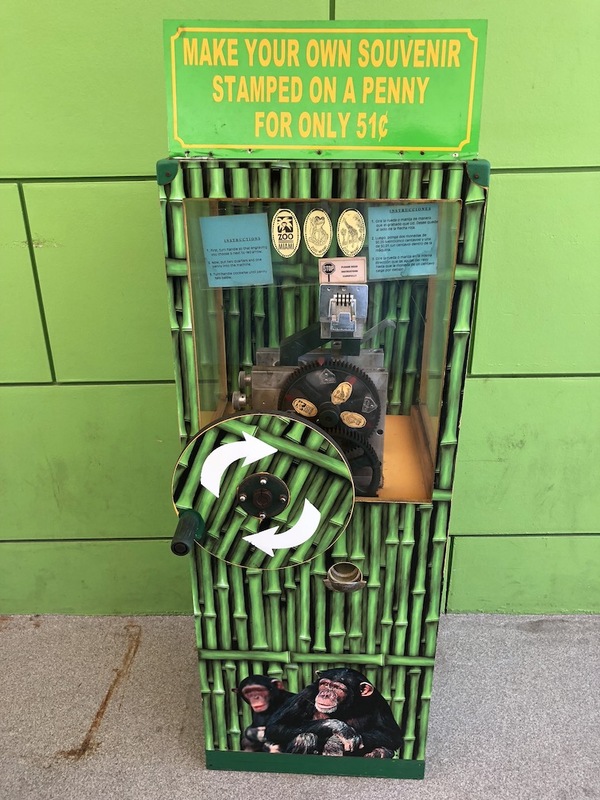 You put in a couple of dollars (or swipe your credit card now a days) and two halves of the metal mold move together, are injected with wax, and then after a minute or so the wax mold drops into the collection bin. Just for fun we created one of these souvenirs and our kids loved them. I have them pretty well-trained to help spot penny press machines, but they now had a new mission and would holler out as soon as they found another wax machine. By the end of the day I think we had accumulated about 7 or 8 of these figures. 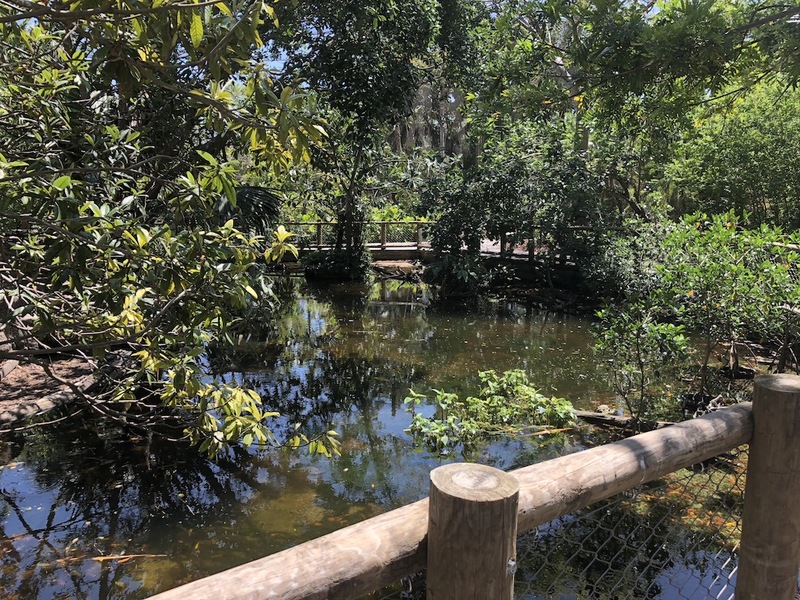 The zoo also had a very nice aviary. Usually I’m not a huge fan of these as the birds always flying over my head is a little unnerving. But this one was pretty nice and peaceful. They were quite a few birds but they were mostly in the trees eating and the little pools of water were filled with all sorts of fish and turtles which was fun. The sun was blazing down by this time of day so it seemed like a good time to take a break and get have a bit of a rest with some drinks. We found the Critter Connection area that is like their kids section. 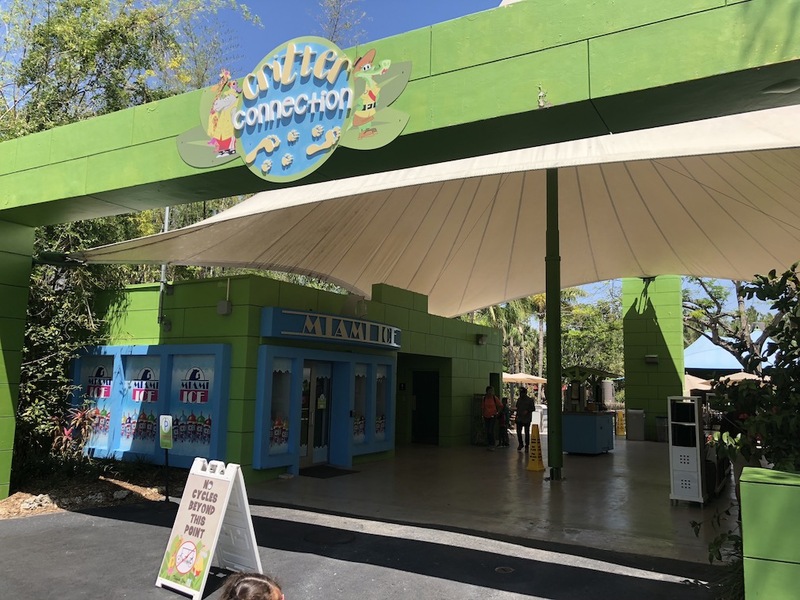 When you first walk in there are a set of restrooms, a snack bar, and a playground out back with a carousel. 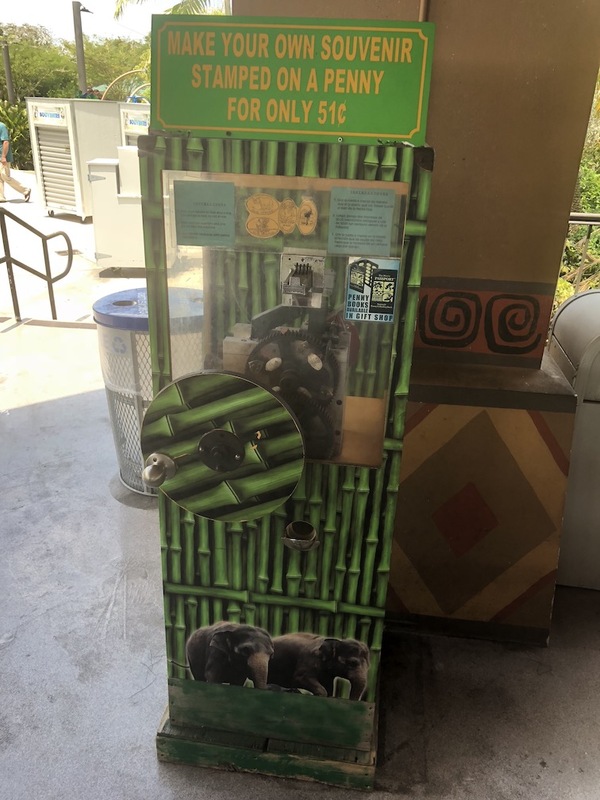 Also in this area just outside the restrooms was the first penny machine. The cabinet was nicely decorated for the zoo. I’m not a huge fan of these type of manual crank machines as always find they don’t press very well. Either the designs don’t line up, or they roll long or short. It’s kind of hit or miss. Also a strange thing with this machine was if you zoom in on the above picture only 3 designs were shows on the cabinet. But you know me I’m always going to try and see if that 4th design is still available. Sure enough I was able to press 4 designs in total and as you can see above they all came our really nicely. The camel one was a little long but much better than most of my experiences with this type of machine. 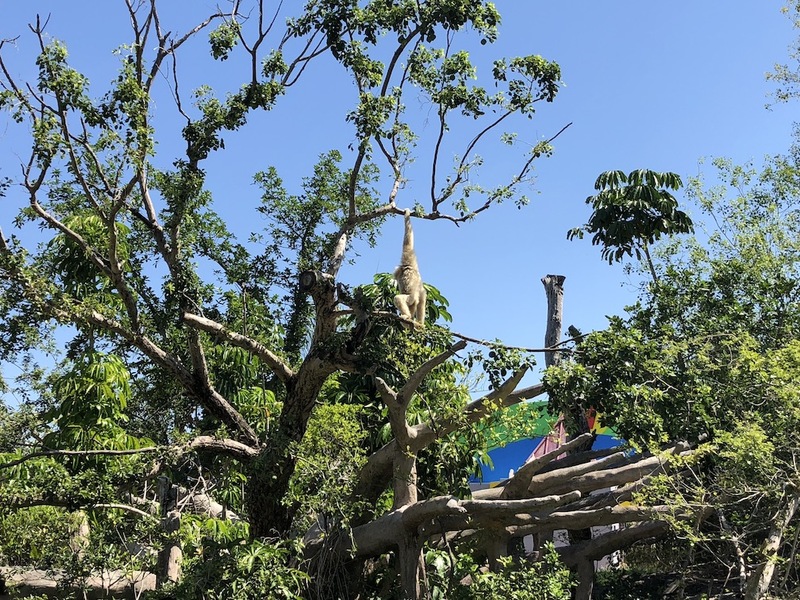 The set included images of the Zoo Miami Logo, A tree front with a peace sign, a Giraffe, and a Camel. After we rested in the shade for a bit with some bottles of water and a couple soft pretzels our daughters raced off towards the carousel. We took a few trips around since there was no line the attendant just let us stay on a couple of times. Eventually we dragged our girls off as they kicked and screamed about wanting to keep going. The zoo path we were following wound back and forth in a slalom pattern between exhibits. There weren’t too many people at the zoo this day, but the path just seemed to be endless. Eventually we found the elephants which is always just one of those animals we have to see every time. The trainers were out feeding them and had them put on a bit of a show. This wasn’t a circus type show, but instead they were trying to show off some of the things they would do in the wild. 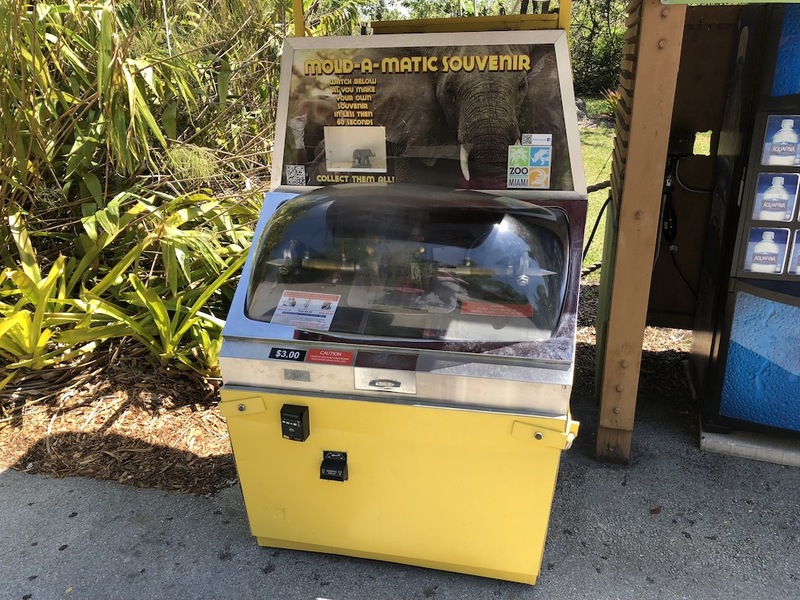 At one point they had them “speak” which was just them blowing air out of their trunks machine the well-known honking sound. 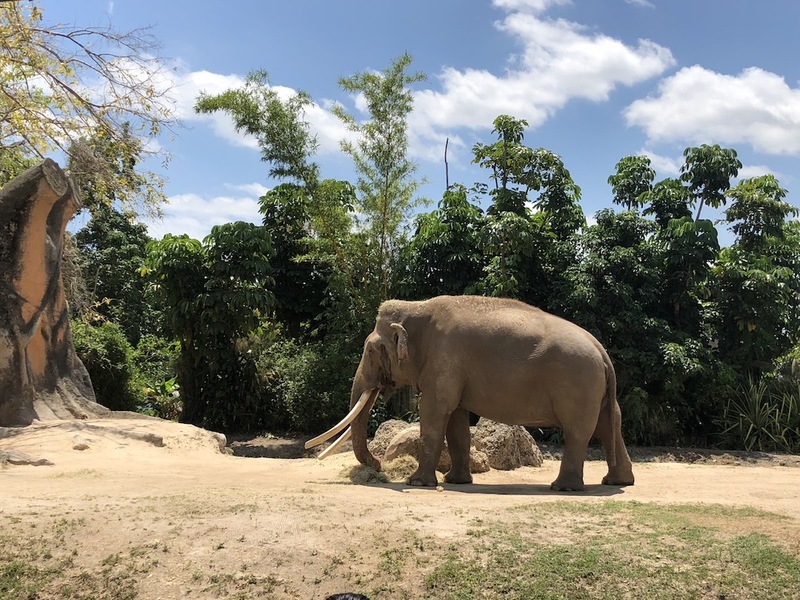 I tried to think whether I had ever heard an elephant do this in person, and it was really interesting to witness first hand. With the elephants fed we headed off to the next place which had giraffes. They were also being fed at this time of day which kept them a little further away from where we were standing to watch. They just seem like they should tilt forward with those long necks, but are so graceful when they move. Really amazing to see in a large open area. Our youngest daughter had been calling our for the Gorillas all day, and we thankfully found them. They weren’t doing much other than just sitting on the grass and enjoying the Florida sun. 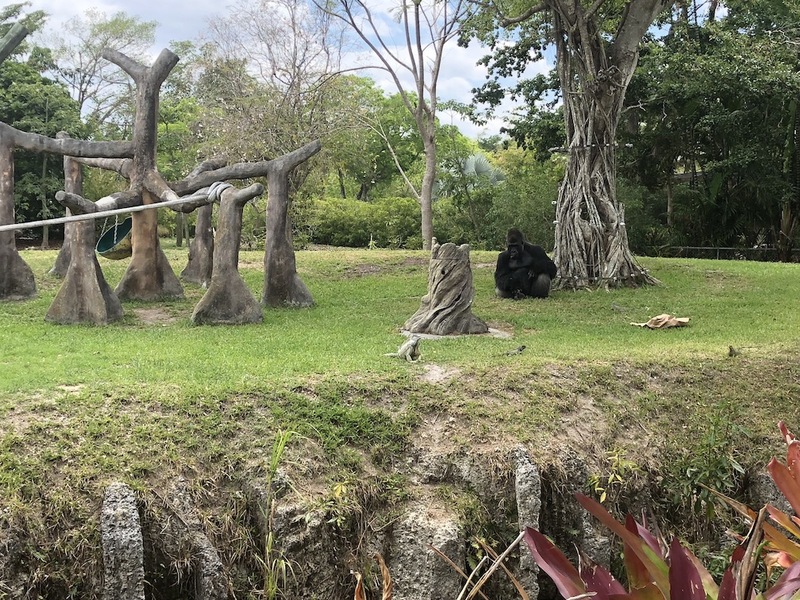 If you look real close in the picture above there was a really big iguana just in front of the tree stump to the left of the Gorilla. I’m not really sure how he got in there, but the gorilla didn’t seem fazed by it. Just another fun odd couple at the zoo. Eventually it was time for another pit stop. But this time we figured it was probably a good idea to get some lunch and sit in the shade before we passed out from the heat. 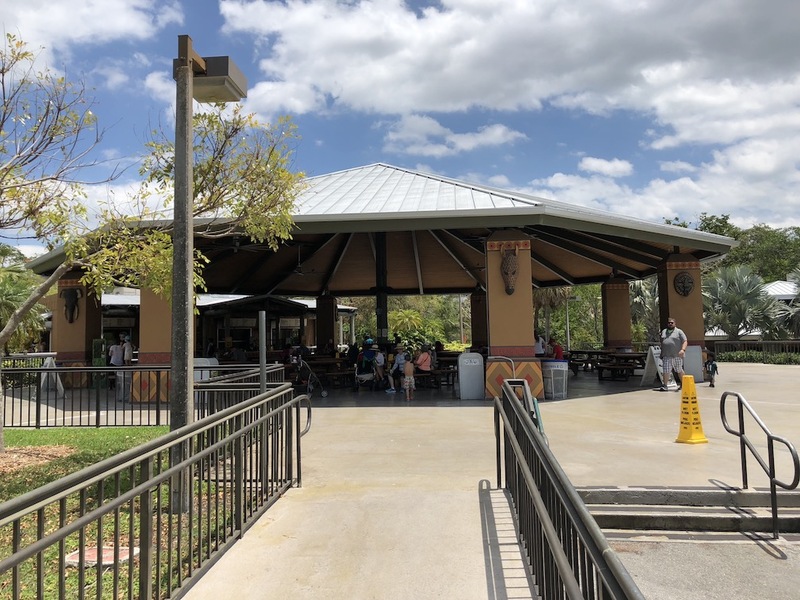 We found the covered area shown above which was called the Oasis Grill. They had the usual pizza, hamburgers, hot dogs, and basic garden salad. Pretty standard park food but our kids enjoyed it, and my wife and I were just happy to sit for a little bit. As we sat at our table eating I noted across on the other side in among a few of the tables was the second penny machine. Same type of machine as the first one with a similar cabinet design but different animals printed at the bottom. 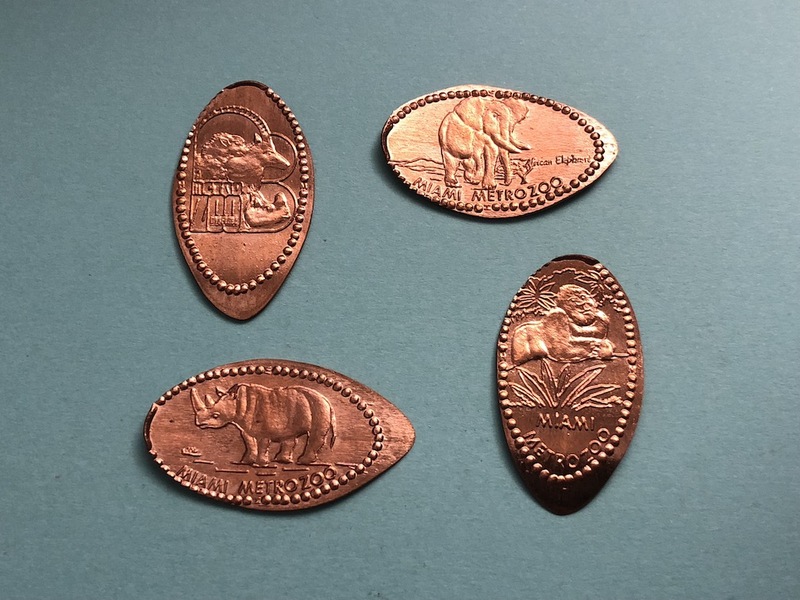 Again these pennies actually pressed pretty nicely. 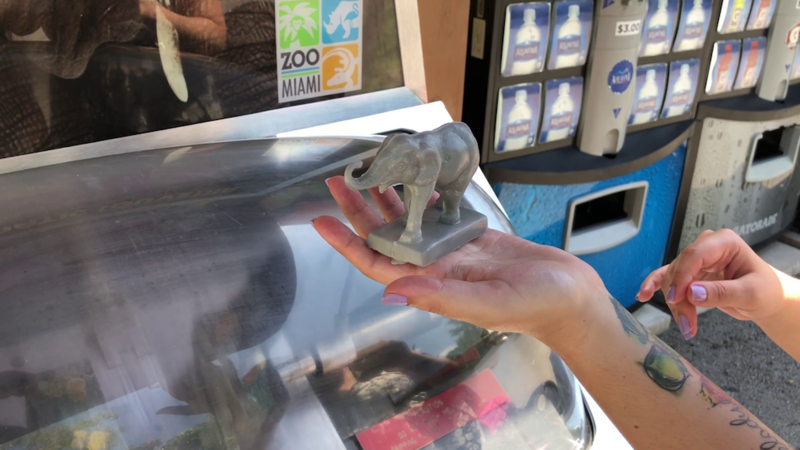 The set includes images of another Zoo Miami Logo, an Elephant, a Rhino and a Gorilla. Once lunch was done and we had rehydrated with plenty of water we headed back out into the sun for the last leg of our zoo trip. Unfortunately by this time everyone was getting pretty tired and a little cranky. There was definitely a lot of walking. I was hoping we could make it back to the front of the park seeing everything from ground level, and then take a round trip tour in the sky on the monorail. 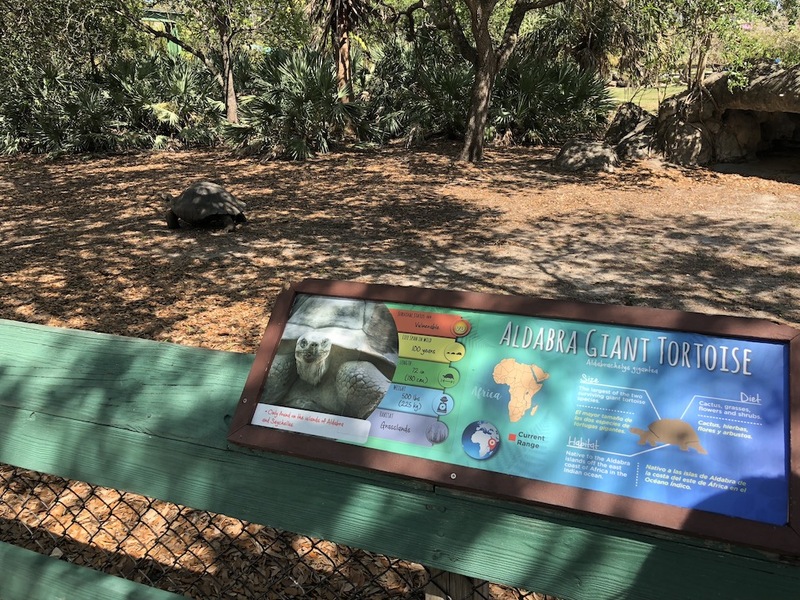 But after visiting with a large tortoise, and some familiar Florida animals in the “local” section of the park everyone was ready to head back to our hotel and just chill. 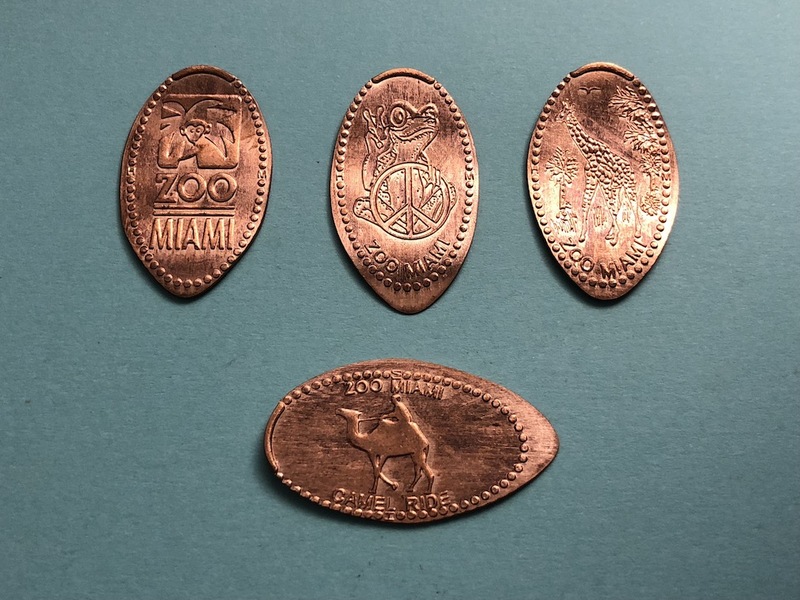 Something to note on these designs is they all said Miami Metro Zoo along the bottom which was the previous official name of the zoo. Does this mean the designs will be updated soon? Probably not, but still makes for a fun set of coins to press.